College admissions leaders say -- over and over again -- that they want to recruit minority students. 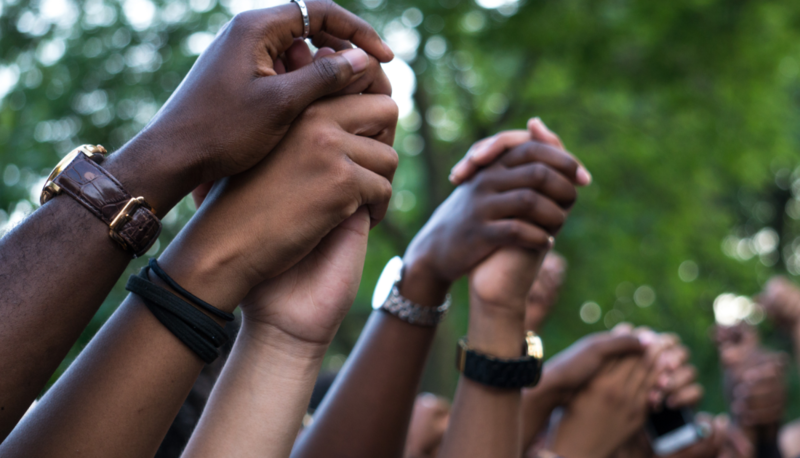 But a new study suggests that when it comes to black students, admissions officers may be more likely to encourage those who aren't involved in black activism. The study  was just published in the journal Sociology of Race and Ethnicity, and its author says it raises questions about the commitment of some in higher education to attracting all kinds of black students, and in particular those who are engaged in the fight against racism in society. Ted Thornhill, assistant professor of sociology at Florida Gulf Coast University, did the study by sending emails on behalf of fictitious black students to 517 white admissions counselors at predominantly white colleges and universities. The email messages asked if the student would be "a good fit" at the college. The email messages did not say explicitly that the students were black. But the names used were tested to show that most people would perceive the fake students to be black. For example, some of the emails came from male names such as Jamal Jackson, and others came from female names such as Lakisha Lewis. While the names all conveyed that the prospective students were black, the messages varied. Two of the four samples were what Thornhill calls "deracialized and racially apolitical." One of these email messages said that the student was doing well in English and mathematics, working as a tutor in a local library and serving as editor of the student newspaper and as a member of the school's marching band. The other described the student as having interest in natural sciences and becoming president of Students for Environmental Awareness. The other two email texts referenced black identity and black activism. One spoke of founding a student group about African American history and culture. This note also described participation in a gospel choir at church. The last text used was more explicitly activist. This email referenced participation in a Black Student Organization and an Anti-Racism Alliance. The text talked about working with fellow students to better understand issues such as "white privilege, affirmative action, colorblind racism, racial microaggressions and institutional racism." Thornhill compared the response rates of the different email texts and found that the first two (without mentioning racial identity or activism) were more likely to get a response than the last two, by a margin of 65 to 55 percent. The impact was larger when comparing the last text, which specifically talked about black activism and white privilege, to all of the others. The response rate was 17 percentage points lower. Those findings led to the title of the paper, "We Want Black Students, Just Not You." Thornhill argues in his conclusion that the findings are cause for concern. "My findings indicate a clear pattern whereby white admissions counselors are more likely to ignore black high school students’ inquiry e-mails if they betray an acknowledgment of the continuing significance of white racism," he writes. "Although this does not necessarily mean that white admissions counselors will treat these students’ applications unfavorably should they decide to apply, my findings suggest that they may be treated unfairly if they evince a rejection of color-blind ideology. If admissions counselors cannot bring themselves to provide these students with the courtesy of a response to their e-mail inquiries, whether genuine and substantive or curt and boilerplate, why should we expect these counselors to become responsive, helpful, courteous, and unbiased should these inquirers become applicants?" The findings may be particularly notable because just this year, many college admissions leaders made a point of saying that they welcomed activist applicants  -- although those statements were in the context of supporting those (across all races and ethnicities) calling for more gun control. The study is not the first to find that people in higher education do not respond equally to all inquiries. A 2014 study (also using emails on behalf of fictitious people) looked at how this may play out in graduate education. That survey, published by the Social Science Research Network, used fake names designed to convey both gender and race of potential graduate students. The study of more than 6,000 faculty members, across a range of disciplines, found that when prospective graduate students reach out for guidance, white men are the most likely to get attention . Another study  focused on the backgrounds of those who work in admissions. A 2017 study (abstract available here ) in Research in Higher Education that looked at the backgrounds and decisions of 311 admissions officers at selective colleges. The study -- by Nick Bowman of the University of Iowa and Michael N. Bastedo of the University of Michigan -- found evidence that many competitive colleges rely on their own alumni. Almost half of those studied worked at their alma mater. As part of the research, the admissions officers were given a simulation on admitting certain fictional candidates with various qualifications and backgrounds. Those admissions officers from historically underrepresented groups were more likely than others to say they would admit low-socioeconomic-status applicants. Those employed by their own alma mater, and those with longer time in admissions, were less likely than others to say that they would admit such applicants. The new study comes at a time when admissions leaders are being urged to think about practices that may hinder the enrollment of minority students. Speaking shortly after white supremacists marched in Charlottesville, Va., Harper said, "Racism isn't just tiki torch-carrying white nationalists. It's not just the things Donald Trump says. It's also the things that happen in high schools and in college admissions offices." David Hawkins, executive director for educational content and policy at NACAC, reviewed the Thornhill paper to join in a discussion of it Wednesday at Howard University. "We take these findings seriously," Hawkins said via email. "Based on our own interests in promoting cultural fluency, fairness, and equity in the admission process, we want to be sensitive to all experiences and all parts of the admission process. In a more complex and multi-faceted admission environment, we need to be attuned to each part of the admission process, from inquiry to application to acceptance, enrollment, and beyond. So to the extent that there may be inequities in the very earliest stages of the inquiry process, we would want to know that so we can understand and adapt to ensure that all students receive equal treatment. We’re eager for this kind of self-reflection, and appreciate any findings that can help improve practice."